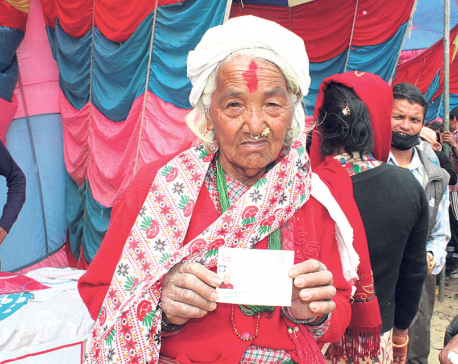 BAITADI, July 30: For Kalawati Bhatta of Barakot, Dashrathchand-10, it was really difficult to buy the kitchen ration to make daily ends meet for her family. Her husband, the sole bread earner for the impoverished family, had the responsibility to look after not only Kalawati and himself, but their children and in-laws as well -- six of them. He was a laborer working on daily wage. But with extremely low pay, he could not simply pay for the household expenses. The situation has changed now. The family has another bread earner. And a better one, thanks to honey. Kalawati has stepped forward to earn household expenses by selling honey. Beekeeping has paved way to self-dependence for her family. After taking on beekeeping as business, it has become easy for the Bhatta couple to manage their household expenses and educate their children. Their financial burden has lessened notably. Kalawati started beekeeping by taking loan from local Daneshwar Community Organization, established through the Poverty Alleviation Fund (PAF). She started with only three bee-hives. 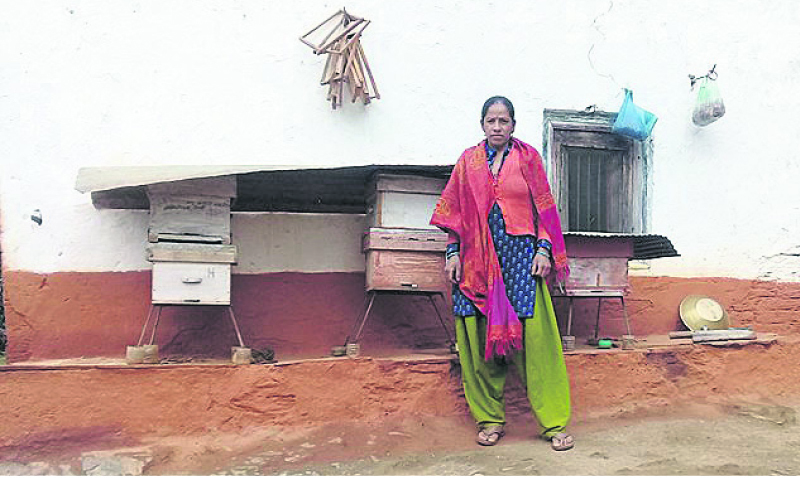 She got a loan of Rs 24,000 from the group’s mobile fund for beekeeping. Now the number of her bee-hives has gone up to a dozen. Last year, she made Rs 70,000 by selling a quintal of honey, and she hopes to make more this year. Her business has grown and he does not always have to go to the market to sell honey. Her customers have started coming to her home. The PAF, in partnership with Rural Development and Environment Management Society, under its society mobilization activity, had assisted in capacity building of the local members who wanted to start small businesses. “I had no capital to start a business, but the PAF funds came to my relief,” she said: “I chose beekeeping as it could be taken care of by other members of my family as well.” She has already paid back the loan. Before starting the business, she had to borrow money from her friends and relatives even to celebrate festivals. She has paid back those loans as well. Previously engrossed with the household chores, Kalawati has now become an inspiration for many women of her village. 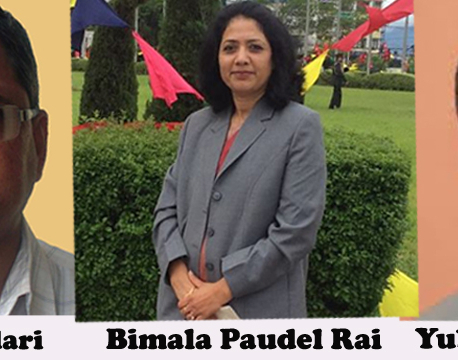 She actively takes part in meetings and discussion of local Aama Samuha (mothers’ group) and other groups. 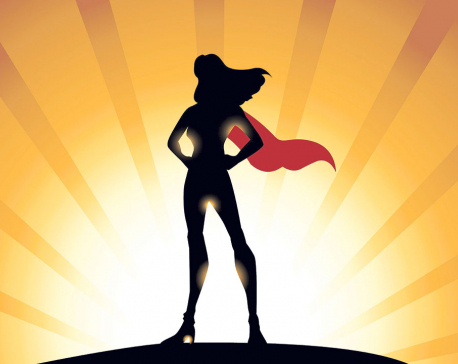 She not only shares skills with other people but also discusses on how the business can be upgraded. Encouraged by the success of beekeeping, she is even planning to replace her traditional farming with vegetable and fruits farming besides beekeeping. Program coordinator of Rural Development and Environment Management Society, Tejram Luhar, appreciated the success of Kalawati in improving her economic status in a short period of time. He said that besides Kalawati, many farmers have benefited from beekeeping, vegetable farming, goat keeping and poultry. These small ventures can uplift the economic status of the locals in a relatively short period of time, he said.